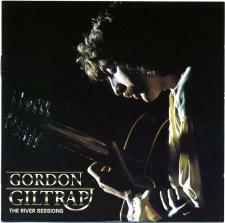 In 2004 a package arrived at Gordon's containing a long lost recording from 1979 that he did not even know existed. The River Sessions was recorded Live at The Magnum, Irvine, 29th November 1979. The lineup consisted of Gordon on 6 & 12 string guitars, with Richard Harvey on woodwinds / keyboards / percussion and Rod Edwards on keyboards. This is a really great snapshot of what Gordon was doing during his transitional period from a full rock combo back to a solo performer. The quality of both the playing and the recording are excellent. Most of the tracks can be found on other recordings but the versions here are some of the best and rather unique, since there are no other known recordings of the trio line-up.